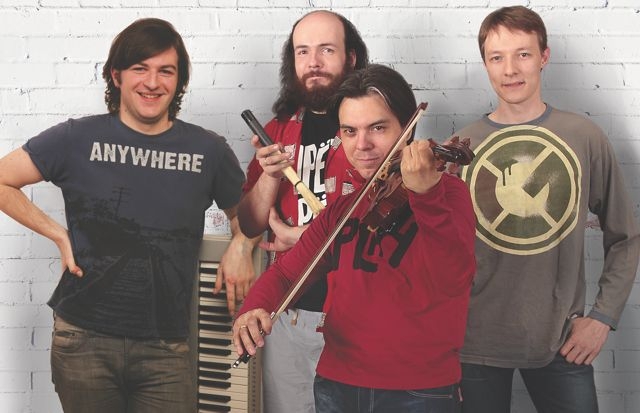 Moscow ViolinJazz Quartet was founded by the musicians as a creative concept laboratory. The artists of a quartet have taken traditions of violin jazz associated with S.Grapelli, S.Smith, J.-L.Ponti, showing modern instrumental power of violin being not only a classical tool. Artist’s expertise allows them to combine violin traditions and experience that was founded more than two centuries later by Nicolo Paganini with contemporary sound, rhythm and synthesis electronics and acoustics. Expressiveness of hot-jazz and intellectuality of post-bebop along with virtuosity and technique joined Moscow ViolinJazz soloists having a classical conservatory school behind. Imagine also repertoire which extend from George Gershwin and Glenn Miller to Miles Davis and modern jazz-rock. Plasticity, inventiveness, rich sound are the reasons of like–minded artists with great confidence sharing the mutual creative ideas.